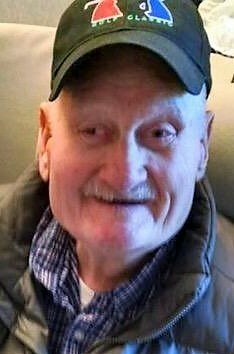 Jerald R. “Jerry” Wilson, 85, of Scottsbluff, passed away on Wednesday, November 14, 2018 at Scottsbluff Care and Rehabilitation Center. Jerry was born April 20, 1933 at Gering, Nebraska to Benjamin Nelson and Martha Alyce (Kelly) Wilson. He attended the Nebraska School for the Deaf in Omaha until 1954 when he returned to the Scottsbluff/Gering area to farm with his father. Jerry was united in marriage to Marie Elizabeth Pace on August 5, 1956 at the Assembly of God Church in Scottsbluff. The couple made their home in the Gering/Scottsbluff/Mitchell area where they raised their family. Jerry farmed as well as worked for the Sugar Factory for several campaigns, retiring in 1981. He was a member of WestWay Christian Church. Jerry liked to watch football, complete word search puzzles, and enjoyed the deaf community near and far. Dugan-Kramer Funeral Home and Crematory, Scottsbluff, Nebraska handles his funeral arrangements. There will be a funeral service at WestWay Christian Church, 1701 West 27th St., Scottsbluff, NE 69361 on November 16, 2018 at 2 p.m. Thanks to Dugan-Kramer Funeral Home and Crematory, Scottsbluff, NE and Dr. Pete Seiler for the information.